You’ve seen metal brackets. You heard of Invisalign and other transparent aligners. What you might not have heard of is lingual braces. These types of braces are the newer, cutting-edge trend in recent years that are making the braces experience that much better for the wearer. 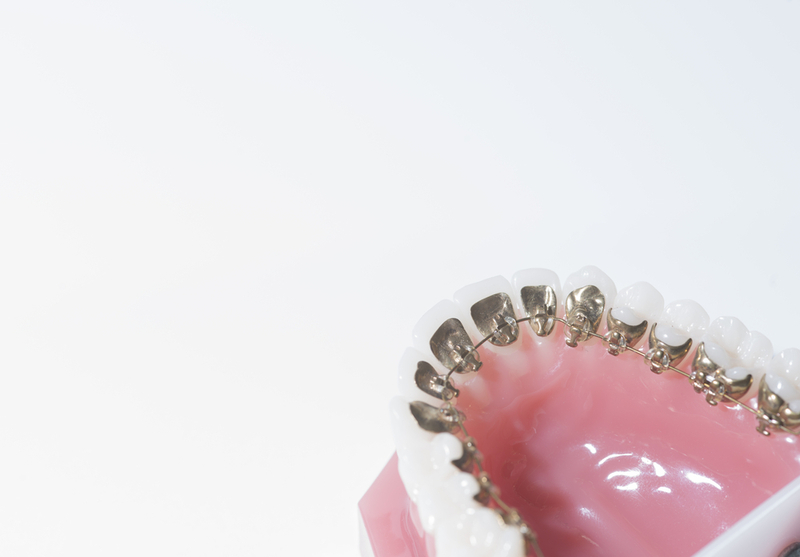 Whether metal braces are just not your “thing” or you want to straighten your teeth discretely, it’s definitely worth checking out lingual braces. These braces are placed behind your teeth instead of in front, hiding that they’re even there. It’s perfect for those who don’t like the traditional look of braces or those who want to straighten their teeth without the hassle of cleaning metal brackets. Plus, lingual braces are attached to your teeth, so there is no risk of losing them. There are many methods of placing lingual braces on your teeth and your orthodontist can help make a personalized plan just for you. Find out what lingual braces are and the services we can provide you at Belmar Orthodontics. With ever-changing technology, there are now more options than ever to straighten your smile without disrupting your routine. Lingual braces are one of the new trends that we believe will be around for years to come. The American Association of Orthodontics (AAO) has done several studies about adult braces and have found that adults are seeking orthodontic care in record numbers. Of the more than 4.5 million braces wearers, at least 25% of them are adults. There was a 14% increase in adult braces between 2010-2012 alone, and that number has risen each consecutive year. Why are so many adults seeking braces? Studies show that braces not only straighten your teeth, but make you appear more successful, attractive and trustworthy to others. Adults see braces as a necessity, not a luxury when it comes to having success in their home, professional and educational life. We offer Invisalign transparent aligners in our office (especially for adults), which allow our patients to straighten their smiles discreetly. Invisalign is not for every patient, which is why we offer more alternatives for our patients. That discrete form of teeth straightening—which we love—comes in the form of lingual braces. Lingual braces are actually the Incognito Hidden Braces brand of teeth straightening. It says it all in the name: hidden braces that lets you straighten your teeth in secret. We are so excited about this new twist on traditional braces! Adults and teenagers will sometimes avoid orthodontic care because they don’t want to appear too young (such as in a business setting) or they think they’ve passed an acceptable age to have braces. We want to tell you that you are never too late to have the beautiful smile you deserve. With Incognito Lingual Braces made with 3M technology, we can offer you an orthodontic experience much like traditional braces, but only better. You can finally get that straighter smile you’ve been waiting on! How do lingual braces work? Lingual braces straighten teeth by working discretely on the inside of the mouth instead of out in the open on the front of your teeth. We will take impression molds of your teeth so that custom-fit metal brackets and wires can be made for each individual tooth. Those impressions will be sent to a special lab, where each individual bracket will be custom-made for your mouth. In your appointment with us, we will then bond the metal brackets to the back of each tooth a little bit below the tooth line so that the brackets are hidden from view. Instead of the same-size bracket for each tooth like traditional braces have, each bracket is smoothly molded to the shape of the incisor, canine or molar that it attaches to you. The brackets will not disrupt your normal eating habits and will quickly become a normal part of your day—so much so that eventually you won’t even notice them. The straightening process takes the normal 18 or so months, but can take less time depending on your teeth and bite. The best part (besides straightening your teeth in secret) is that there is no way you can misplace your orthodontic appliance like you can transparent aligners. Want to straighten your teeth in secret but Invisalign isn’t for you? Check out lingual braces and their straightening power today. Not only is this option available for adults, but teenagers as well. Not all orthodontists offer this option, as there is special expertise in creating and installing lingual braces. Dr. Hardy at Belmar Orthodontics however, is highly trained with lingual braces and can set you up on your own personalized plan today. Call Belmar Orthodontics today at (303) 225-9016 for your free consultation and get that beautiful, straight smile you’ve always wanted!